Presidents’ Day weekend is traditionally a big car buying time. Manufacturers and dealers roll out incentives and discounts galore to lure buyers into a purchase. Is it really a good time for consumers to buy? The best time to buy is when you can afford it and when you’ve done your research. Rather than acting impulsively on any of the deals, you should plan your budget, your purchase goals, and do your research in advance – then, if any deals coincide with your pre-established budget, criteria, and goals – terrific! Step by Step: Buying a new car – a good guide from Consumer Reports that covers choosing a car, what to expect at the dealership, getting the best price on your new car and your trade in, financing tips, closing the deal, and post-sale tips. 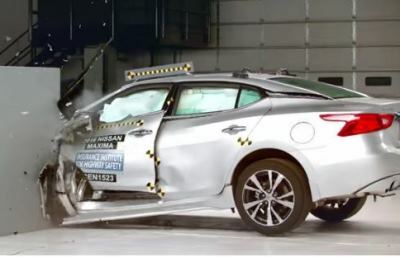 Safercar.gov Vehicle Shoppers – Consumer resources from the U.S. Department of Transportation, including 5 Star Ratings, which measure the crash worthiness and rollover safety of vehicles. Five stars is the highest rating, one is the lowest. The site also offers information on child safety, tire safety, safety technologies, and other topics. Just another reason not to rush into things! This is a guest post by Ross Insurance Agency, one of the insurance agency members of Renaissance Alliance. The introduction of new cars every spring and summer is an annual rite of passage.Potential buyers eagerly watch for new models, makes, technologies, and innovations – as well as for the new price tag. Increasingly, one of the important features that consumers look for is good fuel economy and “green” technologies that help to minimize the vehicle’s impact on the environment. This year, consumers will have a helpful new tool to help with these concerns when buying a new car. Beginning with 2013 models, all new vehicles will feature a revamped fuel economy and environmental impact label. The new labels were developed by the Department of Transportation and the Environmental Protection Agency. They represent a major change designed to give consumers actionable information, more comparison tools, and better benchmarks for potential savings. The big number in the label’s upper left is combined mileage, while city and highway mileage is included in smaller type. There is also information about the mileage range for all cars of that class so if you are buying a mid-size car,you can see the range of options and how this specific car stacks up. Another useful feature on the upper right of the label is an estimate of the additional money you will save or spend on fuel over a five year period. The label also includes an estimated annual fuel cost,and rates the vehicle for environmental impact. Finally, the label also includes a QR Code which will launch much more detailed information and additional tools if you have downloaded a scanner app on your smartphone. There are also new labels for hybrids and electric vehicles that offer additional information specific to those vehicles, such as driving ranges. And for skeptics who think that these alternative fuel vehicles are a passing fad, a quick glance at a sample label for the electric vehicles is pretty eye-opening: An annual fuel cost of $600? Wow. If you buy a new car this year, make sure you get the best coverage for your auto insurance in Massachusetts – look for a Renaissance Alliance Agency! “Lemon” is the generally accepted term for a defective car or a car with recurring mechanical problems that interfere with use. While many experts say that contemporary car manufacturing quality standards make it less likely that you would buy a new lemon, it’s certainly not out of the question. Edmunds has a good article on what to do if you think you’ve been stuck with a lemon. Consumers are in luck today with the wealth or resources online. First, research can and should start in the buying process because preventing problems is always better than dealing with them after the fact. Buyers can research car reviews, dealerships, consumer complaints. For used cars, buyers should do a VINCheck and a vehicle history search and in the case of used cars. (See our post on avoiding flood damaged cars). State laws vary in what constitutes a “persistent” problem or the “reasonable” number of repair attempts that would get you over the border into lemon territory. In Connecticut and New York, for example, four repair attempts is the state standard for “reasonable,” according to Connecticut attorney Sergei Lemberg, whose site, Lemon Justice, can help determine if you’ve got a lemon. But in Massachusetts, the law requires three attempts to repair the same problem in the first 15,000 miles — and one last attempt to get the manufacturer to address the defect after that. Here are links to state lemon laws for New England states.